Don't you just love it when you knockoff something rather expensive! I'm talking about a $629.00 Seashell Crystal Hurricane Votive I saw online at Frontgate. Pretty, isn't it? But way out of my price range. On second thought, if it was $29.00, don't think I would buy it. Because I would rather make it instead. It may not look exactly the same, but close enough. I love looking at all the lovely items Frontgate has to offer. I'm so inspired. And this votive was no exception. It was an easy make and just about free for me. I had everything in my stash. Make sure the glass container is clean and free of oils by wiping with alcohol after washing. Glue on the larger seashells first and fill in with the smaller ones. I used Styrofoam blocks to keep the glass from moving, but then discovered using a small towel was much better. I was curious as to how the smaller shells would look on the rim, so I tried out two before I finished the sides. I had glass tile samples that I used to imitate the crystals on the original one. It was almost like doing a puzzle - moving the shells around for the best fit before gluing on. The small shells seemed to fit perfect on the rim. Decorated with treasures from the sea! This would be gorgeous anywhere in your home! So get creative making your own! So pretty! I think I could make this. Thanks for the inspiration Gail! Beautiful!!! Much prettier than the pricier one! Thanks for this great tutorial, Gail...gets me in a summer mood. Making it yourself gives you something to be proud of. Great idea, it turned out very pretty! That is really lovely Gail, and I'm totally with you on the making it yourself thing. Now you can enjoy it both for it's beauty and because you made it. That's awesome! Yikes could you imagine even spending that kind of money on a candle holder.....Unless of course you are one of those people who has to ask what a weekend is, then sure, go buy it! You did an awesome job on yours. Looks fantastic! BTW Where do you summer? Your votive is beautiful, Gail! And may I just say that you could definitely charge more for yours! *smiles* Thank you so much for showing us how to make our own. So glad you were able to join Roses of Inspiration today. Hugs! Wow that is crazy how much they were asking, yours looks wonderful!! Cute Gail!! I like yours better than Frontgates! Oh my Gail! That is beautiful. I have to show my friend this who collects shells. She would love to make this..so simple too. Love your shell candle holder. Can't imagine paying that much at Frontgate. Yikes! I just made a sea shell wreath and have some shells left over so I might try one of these. What a cool idea! I have so many shells I could do this with. What a nice project! 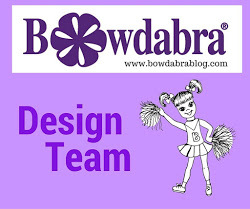 Thanks so much for sharing at Idea Box! I cannot believe the prices they charge for these items - it's completely nuts ! I saw a diy driftwood one as well that they wanted an arm and a leg for - who pays that kind of money? 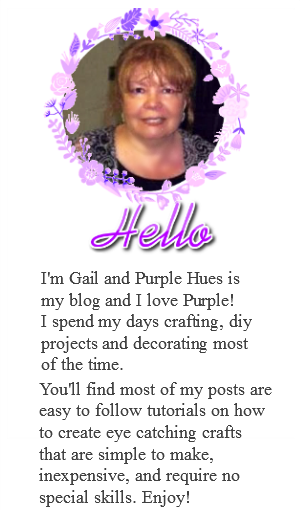 Pinning - it's gorgeous Gail ! too cute!! kristina will want a few of these when she gets her house for sure! thanks for sharing with us at Snickerdoodle! Just fabulous, Gail! You are featured this week at Ivy and Elephants. Feel free to grab a featured button! That is amazing!! My son's bathroom is in the ocean theme and this would go really well. A battery candle would make it perfect! Yes, I was right - Kristina wants a few of these for her new house - she is doing a beach theme. 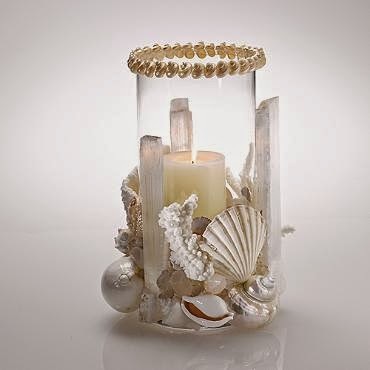 Love the votive and all the shells - totally awesome and beautiful! I love this idea! It looks awesome. 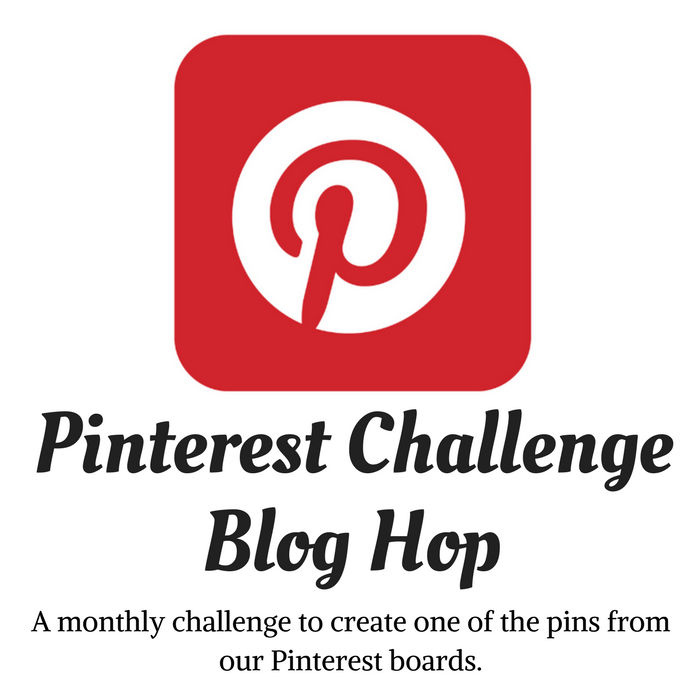 Thanks for linking up at the Creative Craft Challenge Link Up! I love this knock off to pieces! It's very coastal and creative. I’ve featured it at the new Creative Challenge for August. Hope you will stop back and link up again! Gail, this is lovely! It's a wonderful addition to any coastal styled room. Thanks for sharing and for showing us how you made it. Gorgeous seashell hurricane votive knock off. It's great that you already had everything in your stash. Thanks for the tip = wiping down the glass with alcohol to remove oils. This is just gorgeous! I love the shells.